Help keep your home and office free from dust with these stretchable cloths. 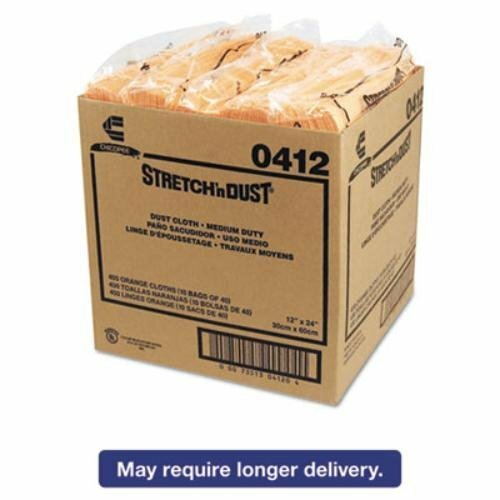 Made with dust-catching fibers and mineral-oil treated to provide you with increased dust pickup and enhanced finish--without the lint or residue. The Microban antimicrobial protection inhibits the growth of bacteria. Innovative design requires you to simply stretch cloths before use to activate the dust-catching pockets. Yellow/Orange color. Application: General Purpose; Material(s): Cloth; Number of Plies: 1; Color(s): Yellow.